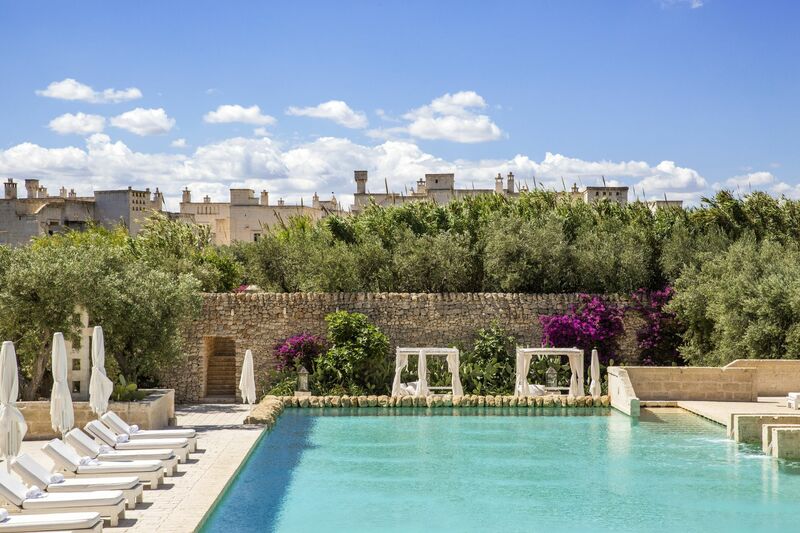 The Borgo Egnazia resort is located in the historical town of Puglia, with raw, natural beauty untainted by urbanization. Discover the breathtaking landscape, the rich history and the traditional set-up of this paradise. 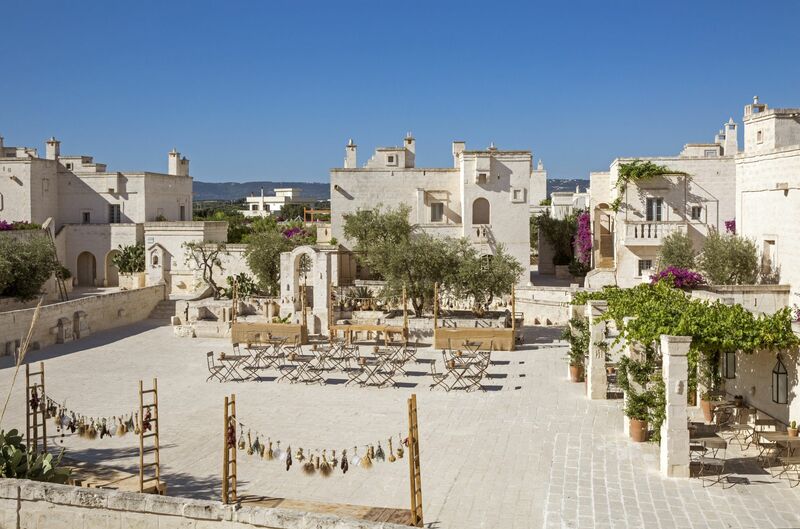 Fully equipped for long and short holidays, corporate retreats and group excursions, Borgo Egnazia is everything – and more- you could hope for in a resort. 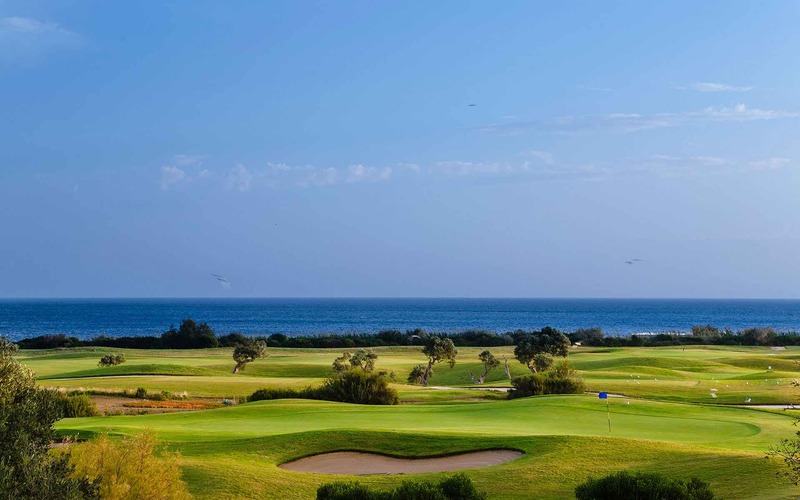 This page is designed as an easy to browse online Borgo Egnazia Resort Brochure, and be seduced by the sheer grandeur of what we have to offer. 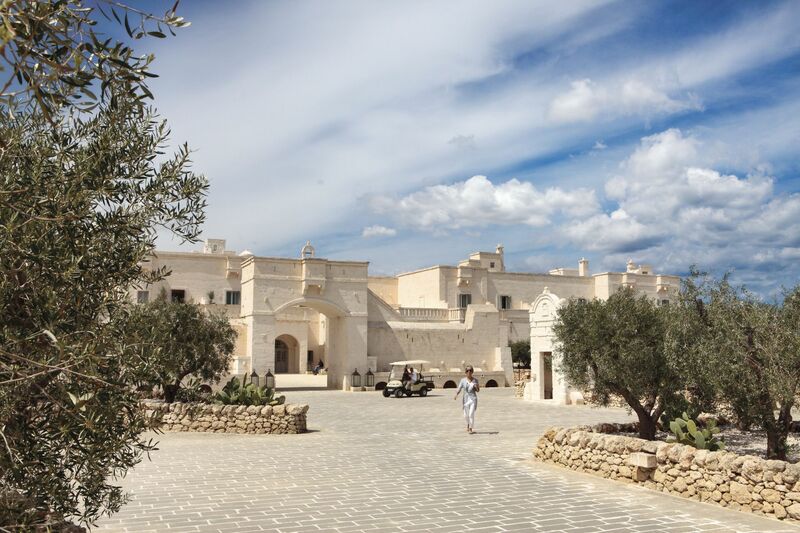 If you would like a full Borgo Egnazia brochure then please give us a call. 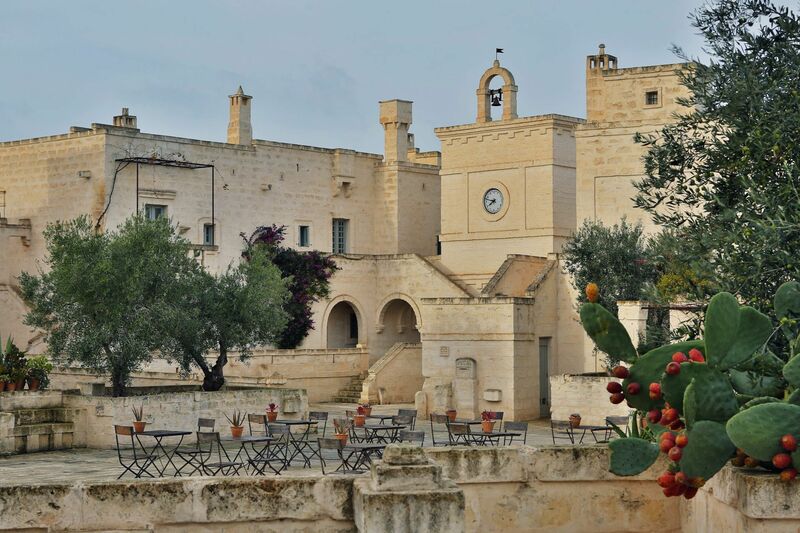 The heart of the Borgo Egnazia Resort. 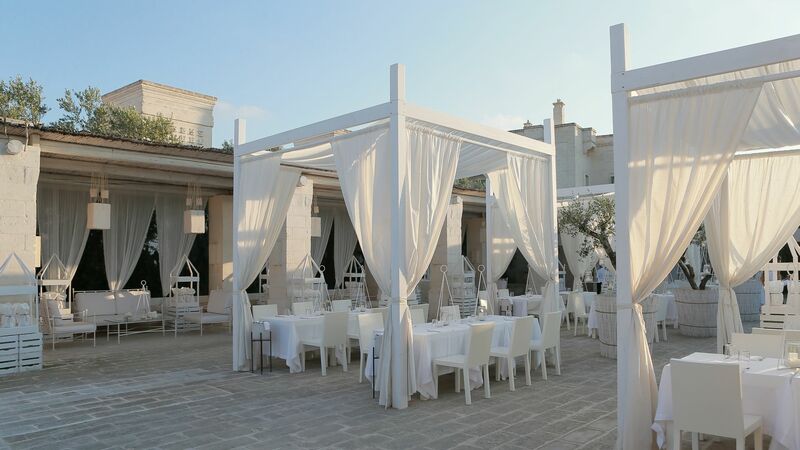 Designed and built exclusively by Puglian locals for an authentic Apulian look and setting. The Il Borgo blends harmoniously with the natural Puglian surroundings. Discover heavenly cuisine and breathtaking scenery. Treat your kids to an unforgettable holiday with kids and teenagers clubs. All rooms and townhouses in the Il Borgo have private patios, stone bathrooms, super king-sized beds and LCD TV. 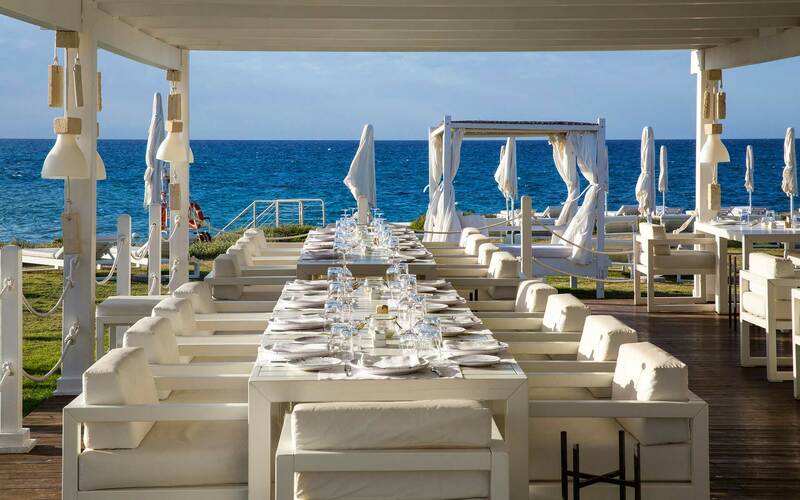 Home to the stunning Camini Restaurant and the famed Borgo Egnazia Vair Spa. La Corte is designed with an exquisite blend of Mediterranean tradition and modern design: an architectural masterclass that enchants. The La Corte Hotel rooms contain either a super king-sized bed or two separate beds. They also contain either a balcony or a garden; and the balconies offer a view to either the Adriatic Sea or the ancient olive tree groves with a glorious backdrop of the hills beyond. Pick a room that suits your taste. All the La Corte hotel rooms are furnished to give you a fairytale treat. They all contain stone bathrooms; double-basin bathroom with glass shower and separate bathtub; 3 telephones; safe; LCD TV with on-demand channels and USB and Bluetooth connectivity to the TV; internet connection (cable and wireless) and bathroom speakers. Classic luxury with modern facilities at its best. Another masterful marriage of ancient Mediterranean and contemporary architectures. The Borgo Egnazia villas bring to life your best imaginations of luxury, beauty and serenity. Every Borgo Egnazia villa is a 3-story townhouse: equipped with 3 bedrooms; 4 bathrooms; a fully equipped kitchen; a living area; a basement; a garden; a patio and a private swimming pool. Settle into lush rooms, stunning views and enchanting surroundings; you’re in for an unforgettable stay. Relax, unwind, heal and get rejuvenated in our stunning Vair Spa. It takes up two floors in the La Corte building. Innovative treatments guided by ancient and traditional Apulian practices are used to transform your body and mind. Come and discover a healthier, more energetic and more beautiful you under the masterful touch of our spa therapists. Two magical beaches – one rocky, the other sandy – with abundant sun, sand and crystal clear Adriatic sea. Come and enjoy a charmed encounter with nature; bathe in the glorious Puglian sunshine and explore ancient places untouched by man. 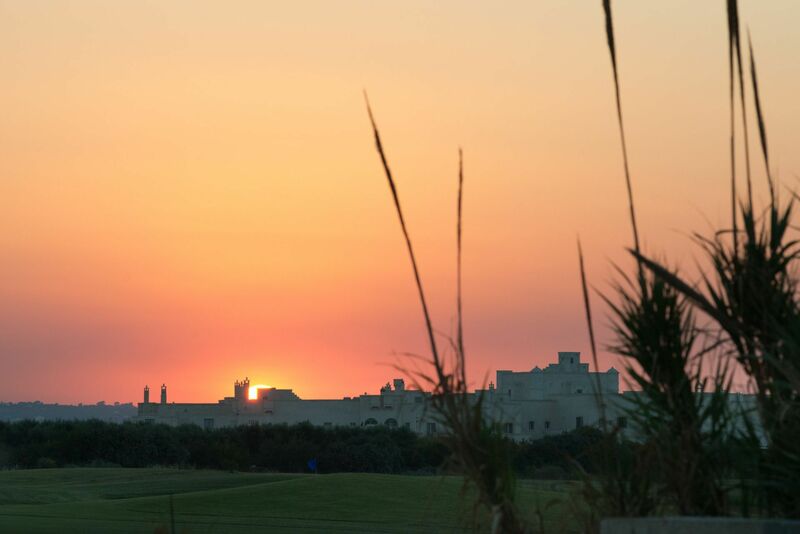 Watch the extraordinary, pink sunset in the company of your loved one, listen to the sounds of beautiful Mediterranean birds in the cloudless sky, talk a walk among the lovely olive trees or play in the vast white sand with friends and family. With beach clubs to fraternize and a water sports center to feed your passion, come and experience true bliss. Italian cuisine prepared to perfection; stunning restaurants perfect for the family or a romantic tête-à-tête; food prepared to your taste and nutritional needs with unrivaled attention to detail. Enjoy meals prepared with ingredients from the rich Puglian soil or treat yourself to exotic, fresh seafood from the Adriatic sea of Savelletri. Enjoy cocktails prepared to amaze and delight. Engage in pleasant chatter or just get lost in the beautiful tunes from the pianist. We serve our very own special, a mixture of Galliano, pink grapefruit, vodka and mint. Create a memorable holiday for your kids; let our well-trained staff engage them in fun activities and teach them handy skills like jewelry making, cooking, treasure hunts, face painting and swimming. Tarantari and Marinai Teen’s Club – Grouped in two (8-12 and 13-16), the adolescents are in for a swell time, too. Here, they’ll make new friends, play video games, engage in sports activities or use the Wi-Fi at the multimedia centre. 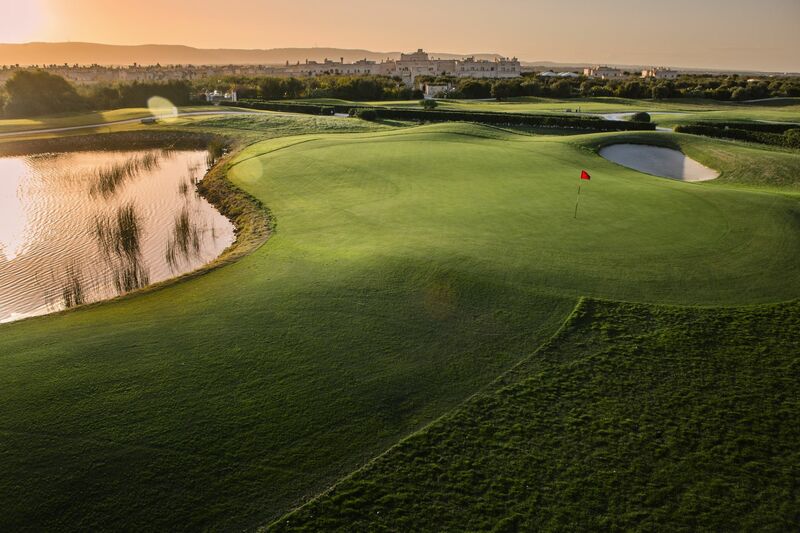 San Domenico Golf club – Play golf on a world championship course with spectacular views of the Adriatic seas from all angles. 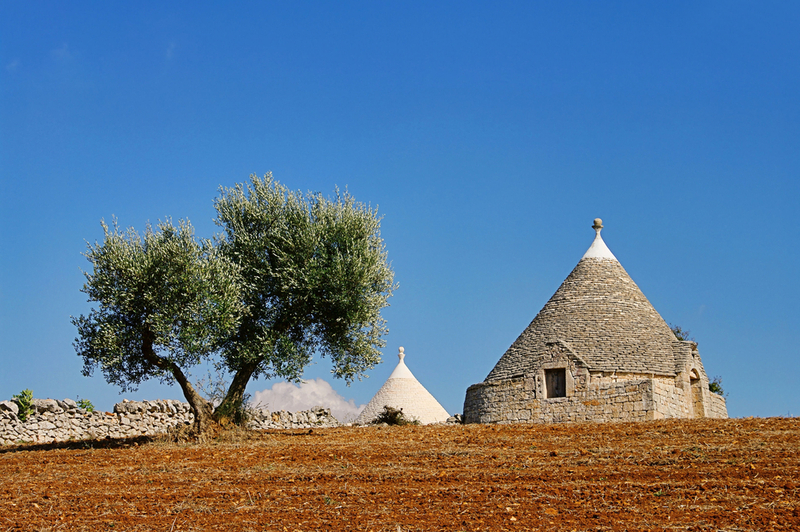 Cooking school – Learn how to cook traditional Apulian dishes, from scratch to exotic dish. Learn the secrets of Apulian cooking from our world class chefs, go home and impress friends and family with your new cooking skills. Water Sports at Cala Masciola– The private beach located within the resort has a water sports center, with state-of-the-art equipment. Dive, explore the seabed, go on fishing and boat trips, or learn a new water sport from our seasoned instructors. Equipment rentals are also available: there’s nothing to stop your fun. Tennis – Make your choice of four, beautifully maintained tennis courts, designed to world-class standards. There are two professional hardcourts and two synthetic grass courts, all centrally located in the resort. Enjoy a refreshing bout of tennis surrounded by magnificent olive trees, with the sea breeze and warm Apulian sun on your face. Gym/Fitness Centre – Work out and train at our fully equipped, world class gym. Games Room – challenge yourself in our delightful games room. Participate in pool, board and card games tournaments or just play for fun. There is also a reading room for the quieter moments. Cigar Room – Lounge in our cigar room for a smoke; watch Sky TV and complete the experience with assorted chocolates and liquors. Reading Room – Relax and read in a quiet and gorgeous reading room. Keep up to date with the happenings in the world through national and international newspapers and magazines, or go digital with the internet-enabled MacPro computer. Barber’s Shop and Hair Salon – Serviced by professional barbers and hairdressers, you never have to worry about looking good. Maintain your favourite look or allow our professionals to work their magic on you for a new, gorgeous look. Boutique – Purchase top quality clothes and jewelry, as well as our classy selection of Borgo Egnazia bags. Pick up a souvenir from our custom-made and home-grown items, and refill with an assortment of tasty food at our boutique. Communal Pools – We have four communal pools, one in the Borgo with a kids’ section; two at the La Corte, and an indoor pool in the fitness centre. 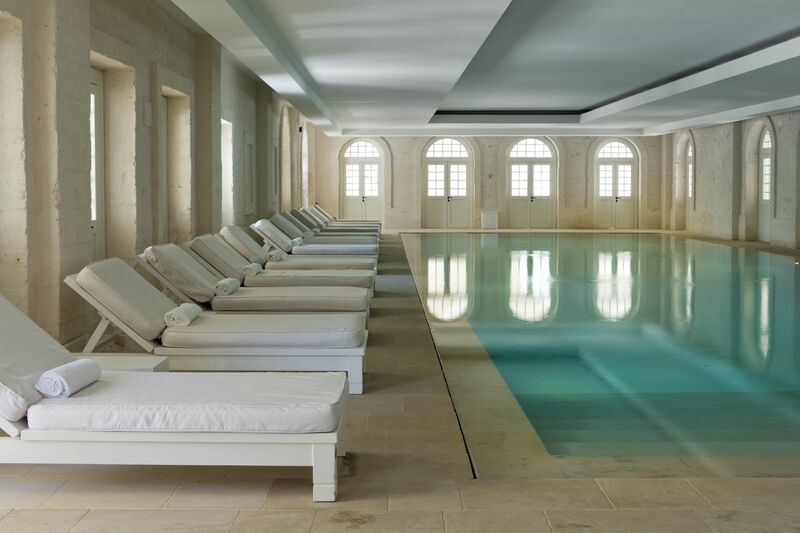 The pools at the La Corte host individual and group classes. 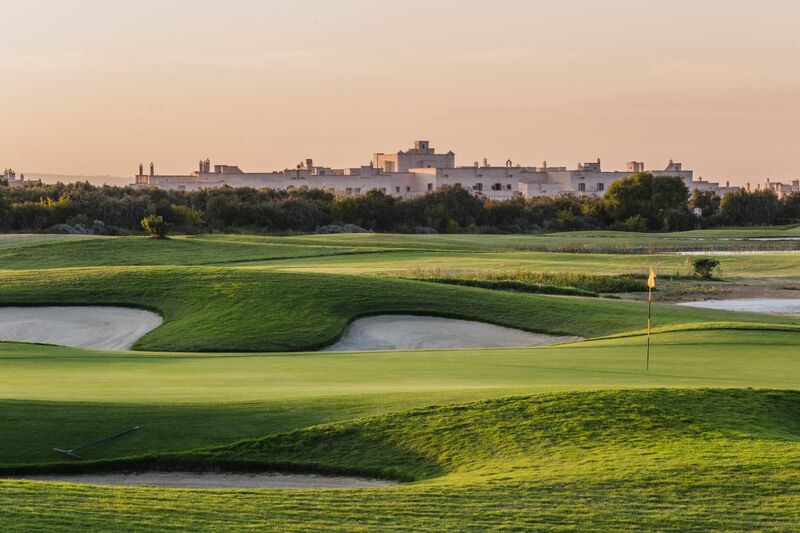 Get in touch today to find out more about the resort, Puglia and to request a full Borgo Egnazia Brochure.